In our first year, we hosted ten events featuring twenty-seven speakers from interests and industries across our local food system. 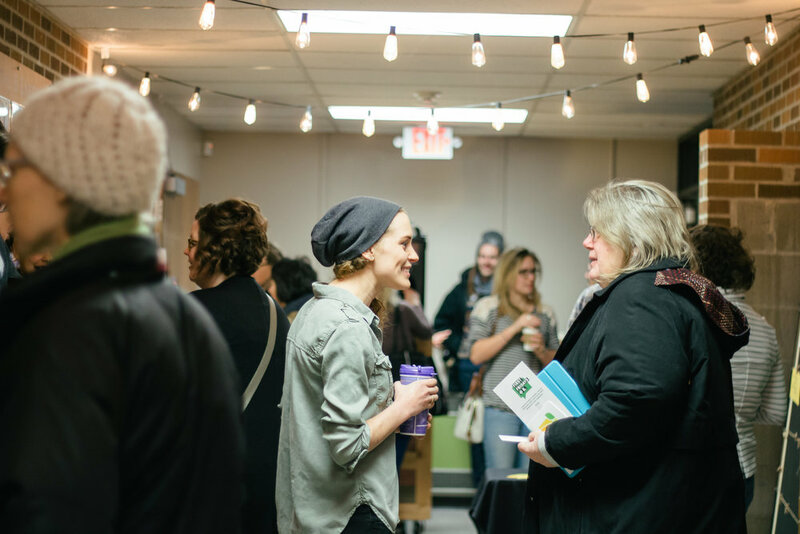 This community space fostered connections, increased our collective understanding of local projects (and the people behind them), inspired action, and celebrated our awesome local food community. "First Fridays is a really cool opportunity to create stronger connections in the community and a platform to push ideas forward." "The overall event had a wonderful vibe -- from the venue, to the people, to the topics -- loved the environment & buzz." "Finally! A food focused event featuring our awesome food community!"